Opera, the Norwegian developer of Opera Mini, the most popular mobile browser app in Africa, has integrated a new web payment platform in Kenya called OPay. The service directly runs on the Opera Mini browser, which will bring a new level of convenience to a nation that has become a world leader in leapfrogging its IT infrastructures with innovative, web-based solutions. This is part of the Opera’s $100 million investment initiative to grow the African digital economy announced earlier this year. Designed to be a fast and secure payment option, OPay will enable not only Opera Mini but also other mobile browser users to top up their Safaricom, Airtel and Telkom mobile phone accounts, as well as pay electricity, cable TV and utility bills directly through its secure, user-friendly platform. It will also accommodate multiple payment methods, from major credit cards to Airtel Money and M-Pesa. With so much of a community’s economic well-being resting on the efficient, affordable and easy transfer of funds, much of Africa finds itself in something of a catch-22 situation. Growing businesses in the digital age, particularly in Africa’s critically important informal sector (which accounts for as much as 60% of the total GDP in some African states), require easy and secure payment functions that help people get around the continent’s many gaping holes in service delivery and infrastructure. 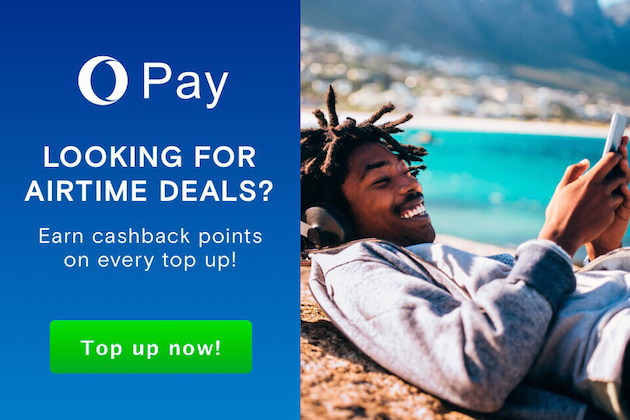 Using OPay will get you something extra for a limited time. 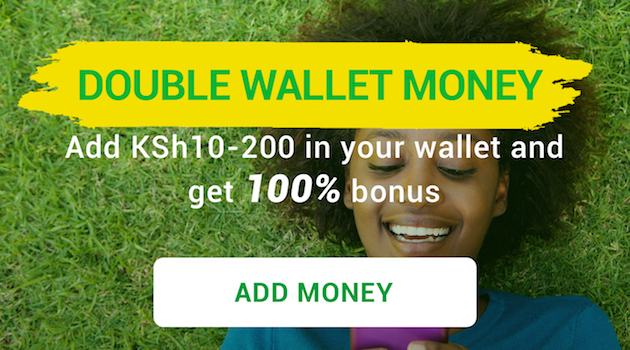 Users who make their first deposit to their Wallet will get a 100 percent bonus of up to 200 Ksh. They can use this bonus to pay for services or recharge airtime on the portal. In addition, for every airtime purchase the user makes, users will receive 20 percent cashback in the form of credits in their Wallet. These credits are the same as the ones earned from depositing money within the Wallet and can be used to pay for services or recharge airtime. African development in the digital age is highly reliant on inclusive solutions that enable every citizen, no matter where they live or the resources available to them, to participate in the economy easily. High penetration of mobile phones and Opera Mini’s leading market share on the continent make OPay just the solution that Kenya needs to continue fueling its reputation as one of Africa’s leading digital innovators. OPay focuses on developing a secure, user-friendly web-based mobile payment gateway for mainstream use. Users can top up mobile phone accounts, as well as pay electricity, cable TV and utility bills directly via multiple payment methods, from major credit cards to operator payment service and mobile phone-based money transfer service. O-Play Kenya Limited is a privately held company and is affiliated with the Opera Software group.